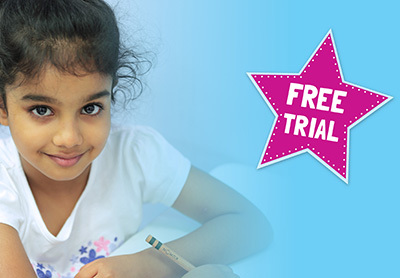 Throughout May, Kumon is offering families a Free Trial of its Maths or English Programmes. As part of the trial, your child will receive individualised Kumon Instruction across four consecutive class days, spread across two weeks, for free. During this time, they will also receive necessary materials to allow them to continue their Kumon studies at home. Michael opened Kumon Randwick in 2016, however, his 16-year Kumon journey started as a parent. All seven of his children have been enrolled into Kumon, five of them are students, and one is a programme completer. Michael’s daughter Kate is now studying materials engineering, and another of his daughters, Lucy, is studying a combined actuarial studies and music degree. He says Kumon has taught all his children, “how to sit down, begin a task, and finish it”. To register, please contact your local Kumon Centre for information. Terms and conditions apply. Places are limited and acceptance for the Free Trial is on a first-come, first-serve basis. The registration deadline for the Free Trial varies across Kumon Centres. Attendance at an information session is mandatory prior to your child participating in the Kumon Free Trial. The Free Trial consists of four consecutive sessions at a Kumon Education Centre over two weeks during August. Worksheets are provided for non-centre days during the two weeks. Late registration may result in fewer study sessions. Class days, operating hours and available sessions vary across Kumon Centres. The Free Trial is available for one subject only (either English or Maths). There is no obligation to enrol after the Free Trial.